Boil the beans, peas and carrots separately. Grill the chicken with only salt and pepper. In a pan, heat some extra virgin olive oil, add in the diced tomato and sauté. Add in the beans, peas and carrots, and sauté for a bit. Add in the blanched pasta along with the chicken and cream. Mix all of the ingredients in well and add salt and pepper accordingly. 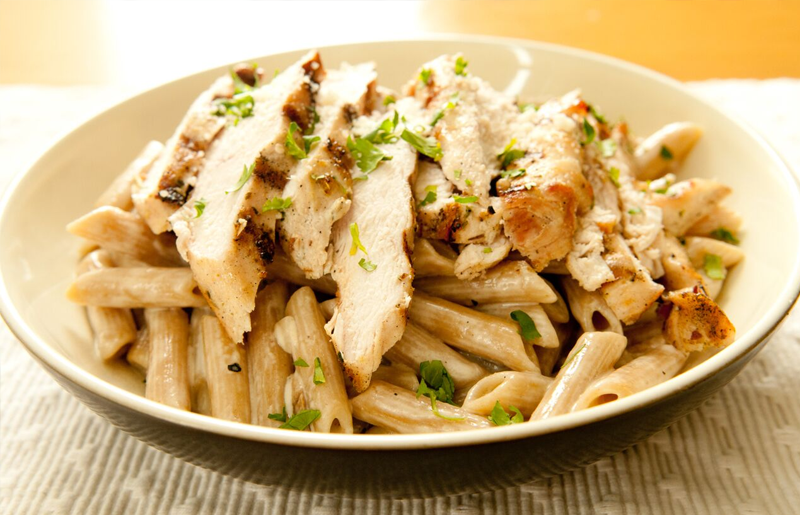 Garnish the dish with thin slices of grilled chicken.